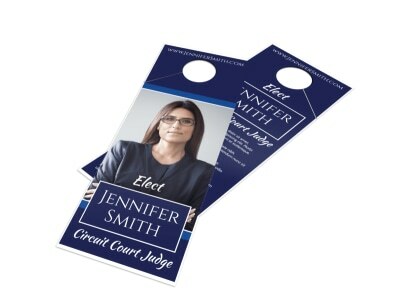 Add some weight to your next door-knocking campaign by bringing along custom-designed door hangers promoting your candidacy or ballot initiative that give your platform staying power. The activist designers at MyCreativeShop have put together a selection of political door hanger templates for you to choose from, and our online editor makes the personalization process almost as easy as shaking hands and kissing babies. 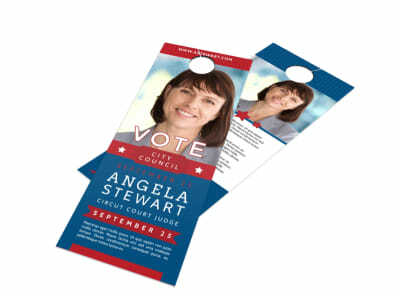 Feel free to cross party lines and print your door hangers anywhere you like – you won’t hurt our feelings! 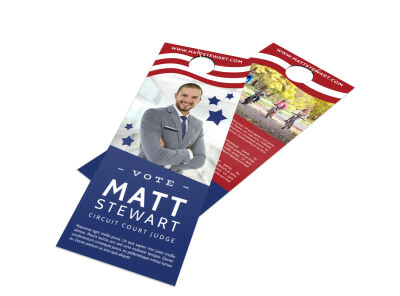 Give your door-to-door campaigning an extra boost by leaving a “Sorry we missed you!” door hanger laying out your platform and key campaign event dates and details on every unopened door in the neighborhood. 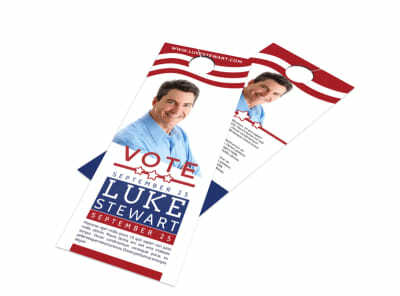 Pick one of our professionally-designed campaign door hanger templates and get to work by forging a partnership across the aisle with the tools in our easy-to-use online design editor. Reform as much or as little of the overall design as you like, then hit print when you’re satisfied with your revisions. 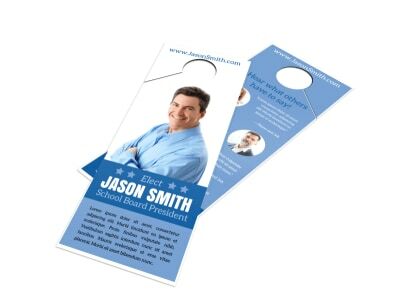 We can drop a stack of high-quality printed door hangers on your front step, or you can take your final PDF to any printer you like. Once you have your door hangers in hand, get ready to shake a few hands and kiss some babies!